DID YOU KNOW??!! Our Piggy Product Line is not just for piggies! We use the products on ourselves, our children & of course our mini pigs! Many of our customers say the same thing! PIGGY BATH SCRUB : If the oils & sugar have separated, stir to remix. Scoop a dime sized amount and scrub in a circular motion throughout your pigs' coat. Add a bit more if it doesn't cover your whole piggy. The sugar will help to help rub off the dead skin cells & dirt while the oils hydrate your piggy's skin. Make sure to scrub & rinse well. If there is any residue remaining, use a warm cloth & wash off. It may seem like it's hard to wash off the oil, but don't worry! Your piggy's skin will soon soak it up and feel super soft and moisturized. This sugar scrub is made with a special blend of organic and natural ingredients. 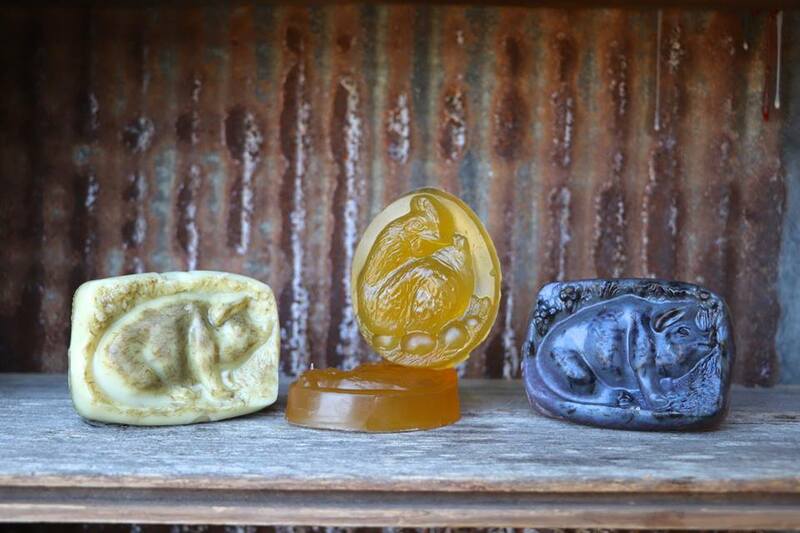 We use high quality, organic essential oils for hints of fragrance. There are no dyes, parabens, SLS, chemical preservatives, artificial colors or perfumes to irritate sensitive skin - healthy for you, your piggy, and your home! 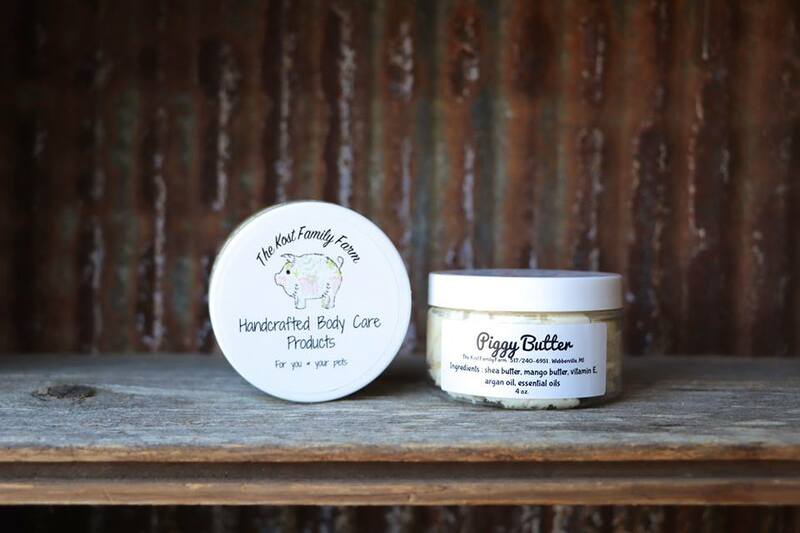 PIGGY BODY BUTTER: It has a smooth, creamy texture that instantly melts when it touches your skin. Nourish your piggy's skin (and yours!) with 100% all natural, soy free, non-GMO ingredients. A little goes a long way - start with a dime-size amount & work into your pig's skin. They will love the rub down & it will get them nice and moisturized at the same time. Add a bit more until you have put the butter on their entire body. If your pig has cracked hooves, use the butter daily & you will see improvement. 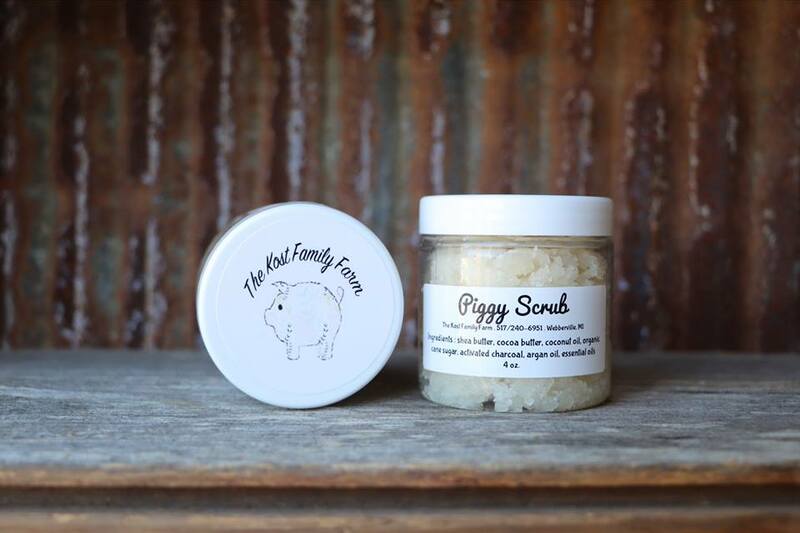 The all natural ingredients in this piggy butter are truly nourishing. The vitamins in the oils are effective at healing tight, dry & itchy skin. Please keep products in a cool environment and out of direct sunlight. DISCLAIMER - The increase in warm weather may cause certain ingredients in this product to melt if exposed to temperatures above 76*F for an extended period of time. Please take care when opening to prevent spilling. If you think your item may be melted, place it in the fridge for 2 hours, then let sit at room temperature overnight and it will be ready to use in the morning. MADE TO ORDER / SHIPPING TIMES - While we try to keep all of our products stocked, there are times when there may be a delay in shipping because we are waiting for ingredients, or other unforseen circumstances. If you'd prefer that your order is sent ASAP & don't mind if we substitute a product you ordered with a product we have on hand, just send us a message through the Contact Us tab. Substitutions would be a StrawPiggyLemon Butter for a PiggyColada Butter or a Lavender Mint Pig Fizzy Bomb for a Lemon Bergamot Pig Fizzy Bomb. Otherwise, please allow 5 -7 business days for shipping. You will receive an e-mail with the tracking number once your order is shipped. REFUND/RETURN POLICY - Since the products are considered personal items, we do not allow returns. However, if there is any reason you are unsatisfied with your order, please contact us immediately and we will do our best to rectify the problem.